Despite her solid job and decent wage, Brandy’s life was challenging. As a one-income family – without benefit of child support payments – she had great difficulty getting ahead. “I felt very stuck in my situation. After my separation, it was like starting at ground-zero,” Brandy explains. The biggest issue was the cost of housing – paying market value meant that her rent absorbed a significant percentage of her salary. Brandy was fortunate in that her rental accommodation was in good repair and her landlords were reasonable and kind. However, the cost of rent meant limited extracurricular activities for her kids and no vacations except for the annual jaunt to Montana to see family. Taya is a burgeoning gymnast, but the formal class was too expensive, so they settled for a free drop-in class. Thankfully, the Cadet’s program is free and Tyson is flourishing in it. In addition, saving for her kid’s education was impossible, so she worried about their future. Ultimately, Brandy wants to do right by her kids, but it is painful for her to ask for help. Therefore, it was fortuitous that she heard about a program that would enable her to help herself. 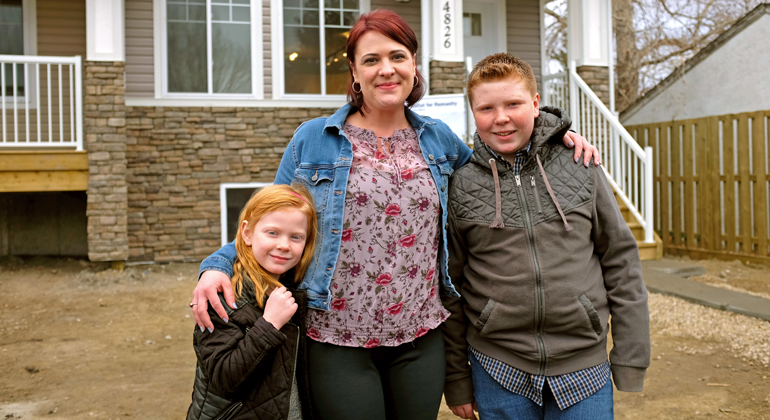 In 2016, a friend told Brandy about an opportunity to become a homeowner through the local Habitat for Humanity. 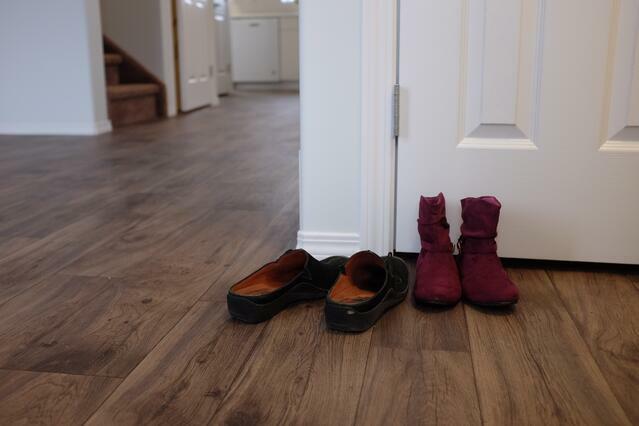 Like many others, Brandy had a misperception about Habitat and she wondered if she would meet the criteria, as she does not view herself as poor. After gaining an understanding of the program and its focus on working families with kids, Brandy applied. Rather, she was benefiting from an Affordable Mortgage through Habitat for Humanity. 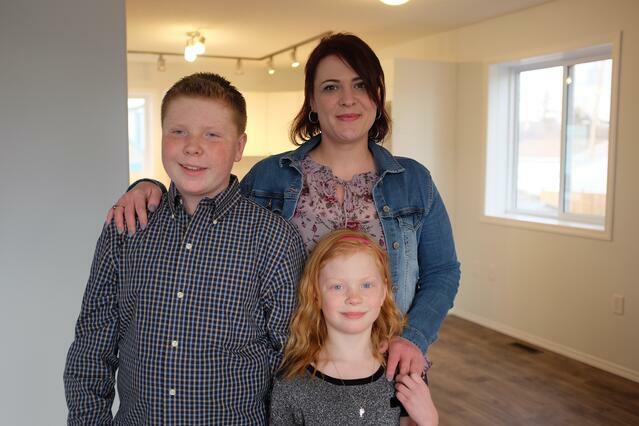 Brandy could purchase a starter home with no down payment and no interest. Her mortgage payments would never be more than 25% of her income. 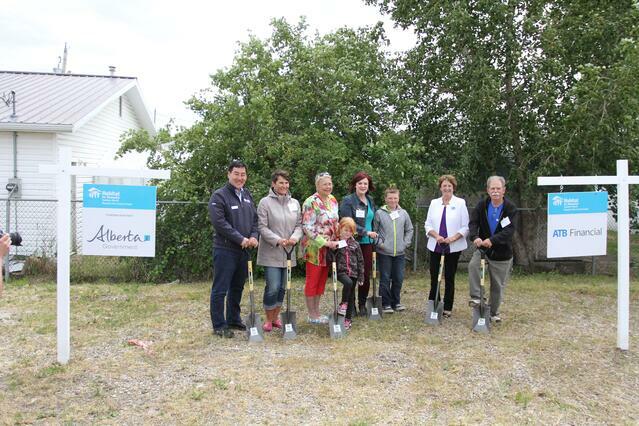 Brandy, Taya and Tyson, joined by habitat staff, volunteers, and the project's supporters, at the groundbreaking of their home in Olds. As a single working mother with children, Brandy faced a formidable challenge accomplishing the 500 volunteer hours that families in partnership are required to do. In rural communities, our resources are not sufficient to support volunteers constructing homes in a timely manner. 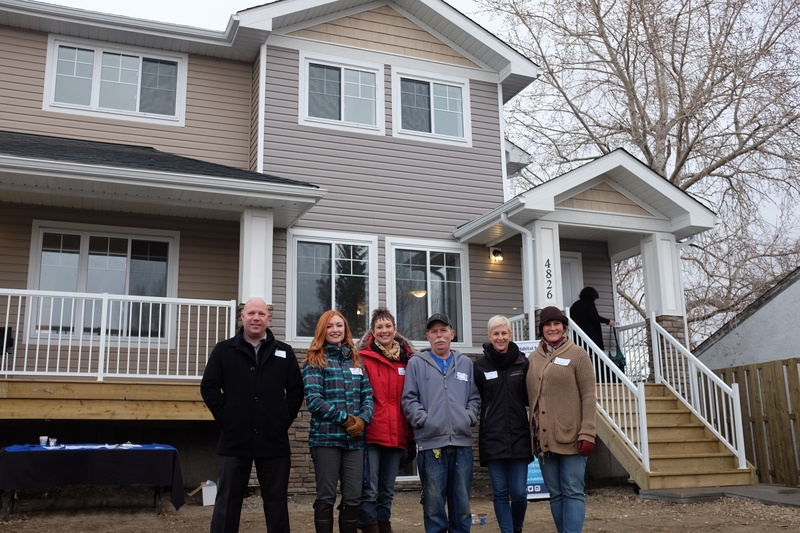 Habitat mainly uses a construction management model to build homes, limiting volunteer opportunities in home building. Instead, Habitat allows rural families in partnership to count any volunteer hours in the community to fulfill their requirements. Brandy and her children opted to complete their hours with a Calgary organization called YYC Helps the Homeless. They would spend their Saturdays baking, followed by a drive to Calgary to serve food to over 100 homeless individuals as part of a large community potluck. “It truly was food for the soul." Despite the magnitude of this commitment, something incredible happened. Brandy’s kids didn’t dread volunteering; rather, they started asking to go. Brandy feels that this experience was invaluable for her kids. Tyson and Taya gained compassion and understanding for those living with disease, addictions issues, and mental illness. “It truly was food for the soul,” Brandy declares. The people her children helped were grateful for the assistance. And, perhaps, this experience gave the family a different perspective on their own situation. Family and friends (who can contribute up to 300 hours), also rallied to help, meaning Brandy finished her required hours in an unprecedented two months! volunteers as "just like family." lives from this point forward." 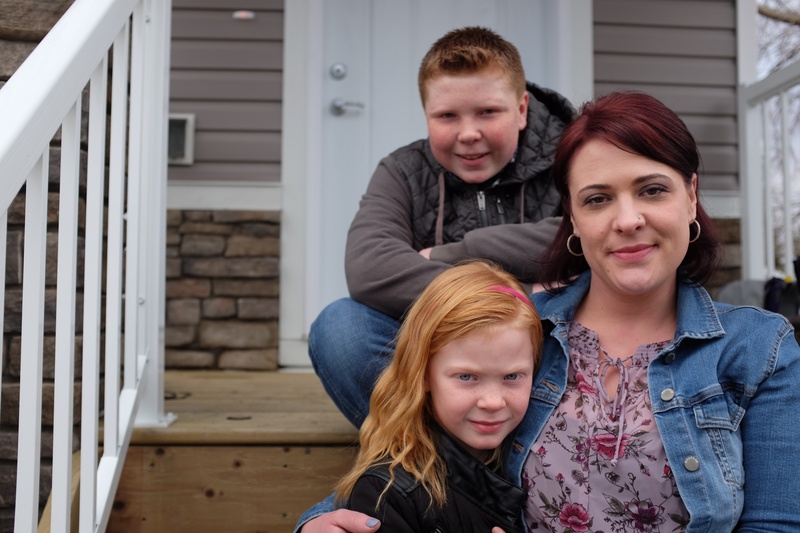 Brandy and her kids moved into their new home in December 2017, just a week shy of Christmas. “We hosted Christmas dinner for my family and it was so much fun to set up and decorate our new home! It was a feeling like no other! My family was so proud and it was an awesome day for all of us,” Brandy shares. Today, Brandy envisions a life where saving for her children’s education and extra-curricular activities are possibilities rather than pipedreams. “Homeownership changed the trajectory of our lives from this point forward,” she beams. Brandy no longer dreads retirement; she has witnessed many folks scraping by on a pension and living in rentals they dislike. Now she knows that she has an asset to her name and she looks forward to some adventures in her golden years.